The SP-1675 Precision Pro spreader is designed to accommodate sidewalks with varying widths in Fargo, which cannot be easily treated with traditional drop spreaders. 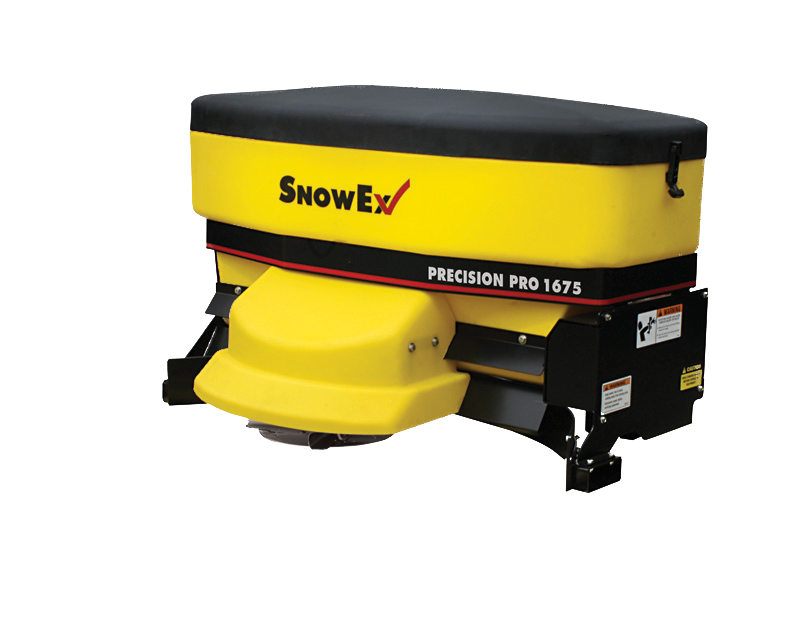 Unlike anything else out there, this spreader has a highly precise spread pattern ranging from 4 feet to 12 feet wide and is capable of spreading any bulk or bagged ice melting material. To achieve the ideal spread pattern, material should be delivered directly to the center of the spinner. The constant volumetric feeding system on the SP-1675 does exactly that with unmatched consistency. You can adjust the angle of the spinner cups to modify the spread pattern exactly as you wish. The assembly is constructed of stainless steel for superior corrosion resistance. The patented inverted 'V" baffle allows a consistent flow of materials to the material feed system.